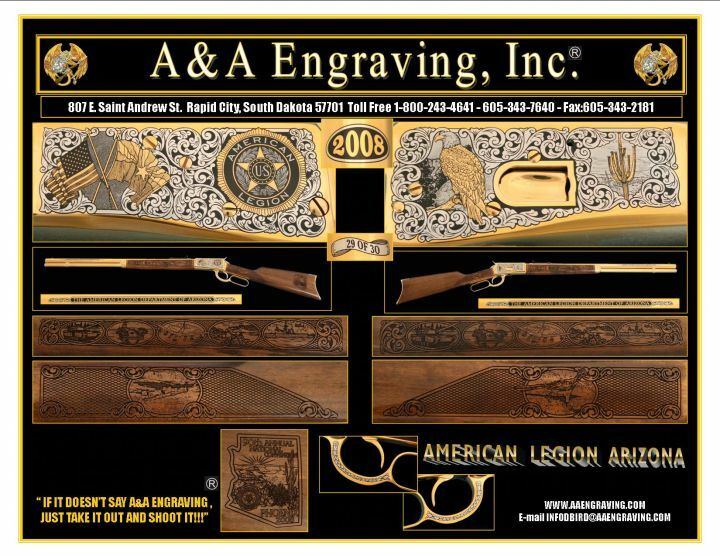 American Legion | Custom Military Guns | Inventory | A&A Engraving, Inc.
Firearms exclusively in honor of veterans and current personnel of the United States Army, Navy, Marine Corps, Coast Guard or Air Force. 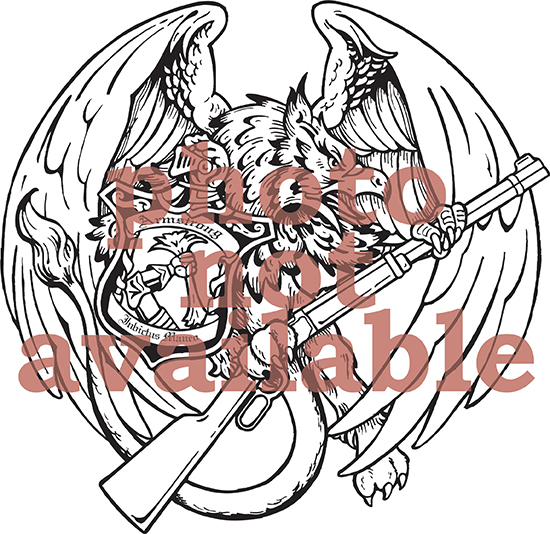 Proof of 111 is available for purchase. 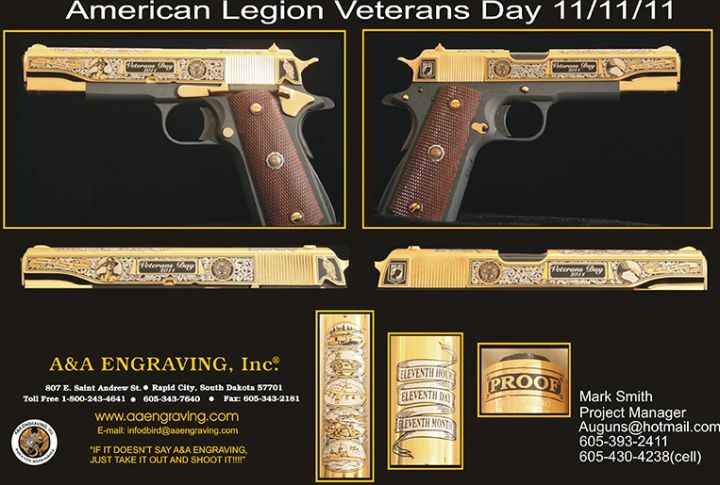 Official American Legion Veterans Day Commemorative with custom inlayed membership badge. Finish: 5-tone Deluxe 24K gold finish on black frame. 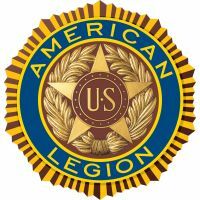 Inlayed American Legion membership pin. Individually numbered. 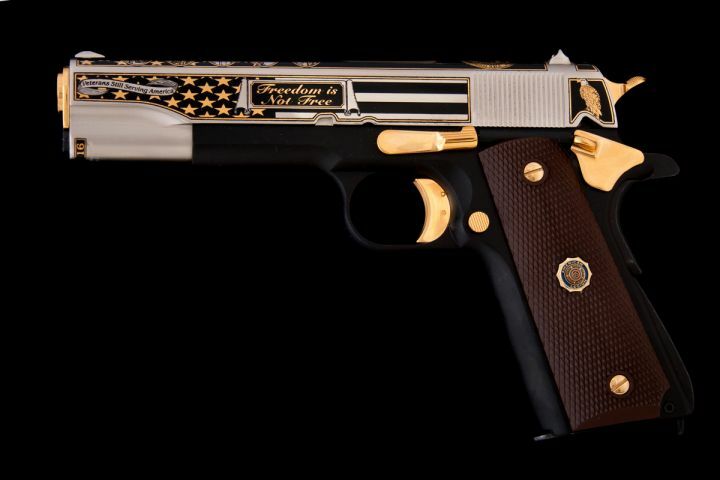 Includes: Original Kahr Arms box w/paperwork, membership pin, numbered & signed Certificate of Authenticity. Handmade oak display case available to order. #19/90 is available for purchase. 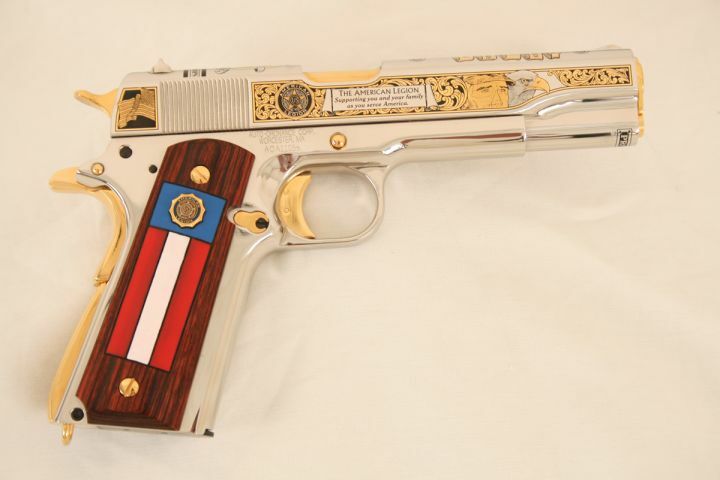 Finish: 5-tone Deluxe Nickel finish with handpainted grips and inlayed membership pin. Individually numbered. 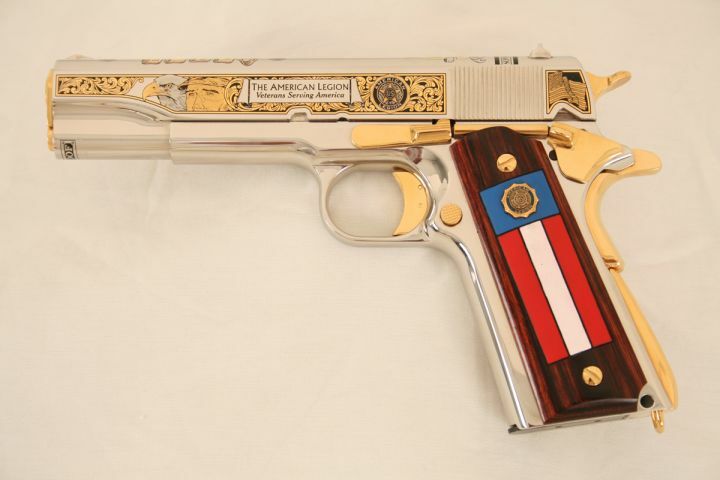 Includes: Original Kahr Arms box w/paperwork, membership pin, numbered & signed Certificate of Authenticity. 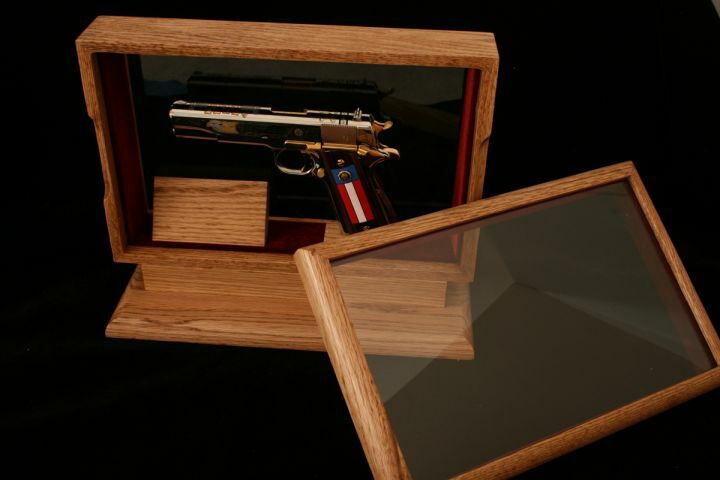 Double-sided oak display case available to order. Finish: 24K Gold & black on a modern frosted nickel base. Black frame. 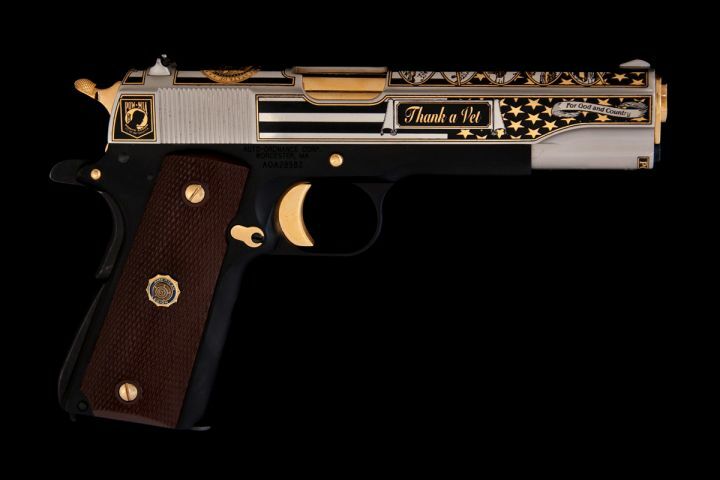 Indivudally numbered with inlayed American Legion membership pin in grip. 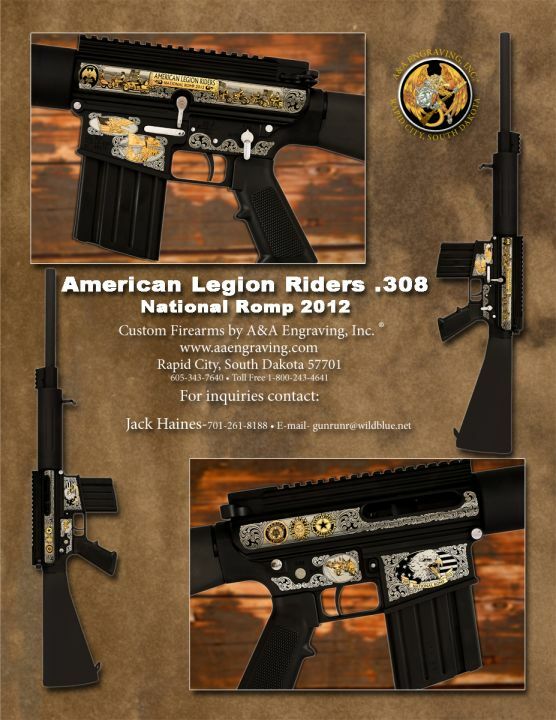 Includes: Original Kahr Arms box w/paperwork, American Legion membership pin, numbered & signed Certificate of Authenticity. Handmade oak display case available to order. 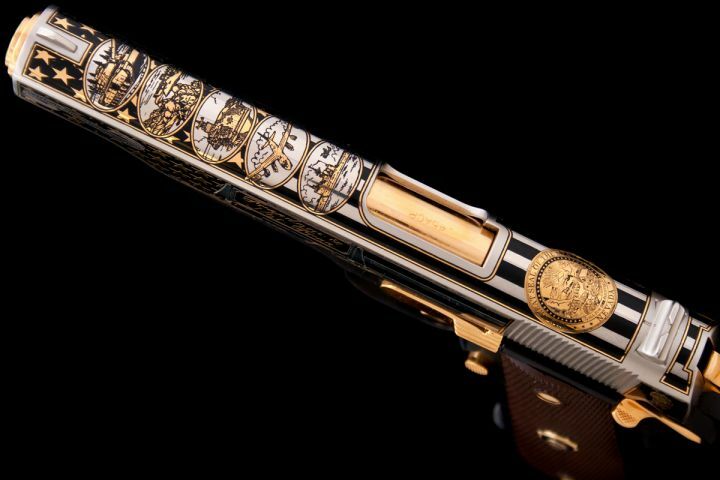 Finish: 5-tone Deluxe 24K gold finish, gold barrel, hand-finished high gloss stock with laser engraved hardwood stock and forend. Individually numbered. Proof of 100 is available for purchase. 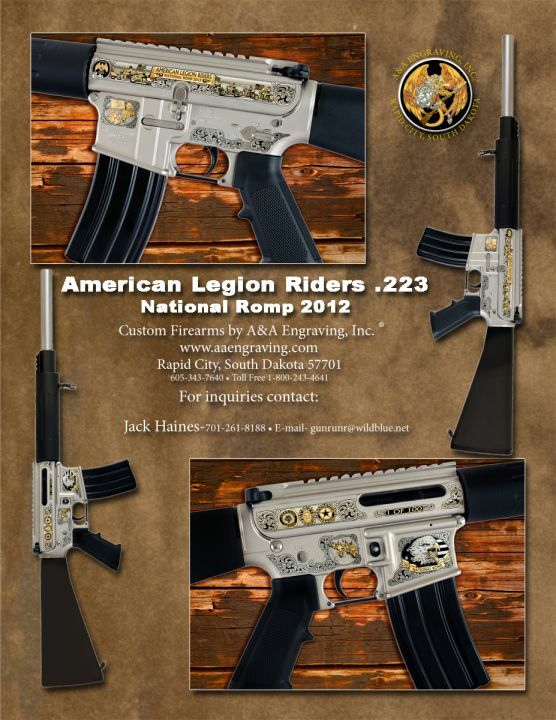 Official commemorative for the Legion Riders National Romp event. Finish: Deluxe 5-tone finish on frosted nickel base, 24K gold accents. Individually numbered. Finish: Deluxe 5-tone finish on matte black base, 24K gold accents. Individually numbered.